The airline catering market has become more crowded with the appearance of newcomers. FLC Group, the conglomerate owned by dollar billionaire Trinh Van Quyet, now has a complex at Tan Son Nhat Airport in HCMC. Dien Dan Doanh Nghiep cited a report as saying that 120,000 portions of food are needed a day. Catering companies can provide 62,000 portions, satisfying 52 percent of market demand. The figure is expected to increase in the future as more airlines have joined the aviation market and operational airlines have scaled up their flights. FLC, the owner of Bamboo Airways, is striving to become a self-catering airline and a provider of meals to other air carriers which have routes to Vietnam. Urging the watchdog agency to license the catering complex, FLC affirmed that the complex, once operational, will give more choices in food supply to airlines which want to expand their operation and diversify meals served to passengers. Zing.vn reported that Sasco is going to submit a plan to provide a new kind of service – air catering – at the 2019 shareholders’ meeting. The company’s board of management said the company began providing catering service to Bamboo Airways earlier this year. 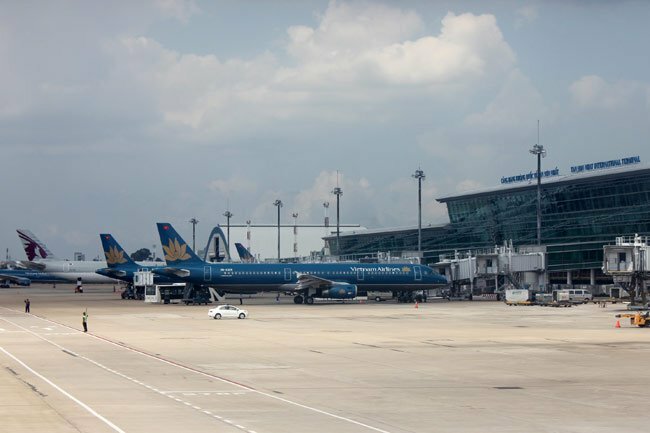 The air catering market is controlled by subsidiaries of Vietnam Airlines, the national flag air carrier, such as Noi Bai Catering (NCS), Masco and Vietnam Airlines Caterers (VACS). Most recently, the market welcomed a ‘rookie’ - Vietnam Air Catering Services Company (VINACS). Taseco Airs, known as an experienced company in aviation service providing cafés and fast food chains, duty-free shops and advertisements at airports, now holds 40 percent of VINACS’ shares. Pouring capital into VINACS, Taserco Airs wants to reach out to all airports across the country instead of targeting certain areas. VINACS now provides service at Noi Bai, Cam Ranh, and Da Nang airports, and at Phu Quoc Airport next year. VINACS has big ambition when setting up a production line with the capacity of 30,000 portions a day, which is equal to the total portions that NCS, Masco and VACS can provide. However, analysts said that it would be not easy to compete for market share with the three companies, which have excellent advantages. Existing catering companies all make big profits from their core business field. Noi Bai Catering provides services to domestic and foreign airlines, including Vietnam Airlines, the biggest client, which brings 60 percent of revenue. Noi Bai Catering reported revenue of VND630 billion in 2017 and net profit of VND84 billion. In 2018, the company had revenue of VND653 billion from sales, of which air catering made up 78 percent.